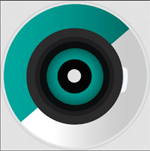 »» Download MediaHuman Video Converter for free! MediaHuman Video Converter ::: a computer program that allows users to convert between different video formats. Using MediaHuman Video Converter can convert between most popular video formats. 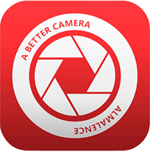 »» Download TAudioConverter for free! TAudioConverter ::: a computer program that allows users to convert audio. Using TAudioConverter can convert all your music in different audio formats. »» Download Audioro Converter for free! Audioro Converter ::: a computer program that allows users to convert audio. Using Audioro Converter can convert all your music in different audio formats. »» Download Far Manager for free! Far Manager ::: a computer program that allows users to manage files. Using Far Manager can manage and organize all your files and folders on your computer. »» Download AnyBurn for free! AnyBurn ::: a computer program that allows users to burn discs. Using AnyBurn can burn CDs, DVDs or Blu-ray discs. »» Download Unreal Commander for free! Unreal Commander ::: a computer program that allows users to manage files and folders. Using Unreal Commander organize files and folders is a work a lot easier. »» Download FreeCommander for free! FreeCommander ::: a computer program that allows users to manage files and folders. Using FreeCommander can manage, sort and organize all your files and folders on your computer. »» Download MediaHuman Audio Converter for free! MediaHuman Audio Converter ::: a computer program that allows users to convert audio. Using MediaHuman Audio Converter can convert audio files into the most popular formats. »» Download Elyse for free! Elyse ::: a computer program that allows users to manage files. Using Elyse can manage, sort and organize all your files and folders on your computer. »» Download SpeedRunner for free! SpeedRunner ::: a computer program that allows users to manage files and folders. Using SpeedRunner organize files and folders is a work a lot easier.